Online Film and video has created a culture of transnationality on a vast scale. With the birth of the YouTube generation and the growing popularity of file-sharing, it has propelled transnational culture to a new level. People all around the world are united by the same medium, allowing them to share their views, home videos and distribute independent films. 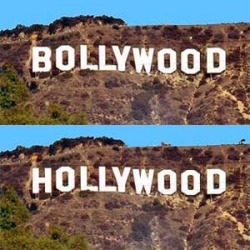 Furthermore, retail sites like Amazon, HMV and Play.com have welcomed a subsidiary section devoted to World Cinema which emphasises the increasing demand and popularity of multicultural and foreign Films. The Internet is vital for the notion of transnationality to continue. The absence of the Internet does not necessarily mean global communication is not possible, but it restricts the ways in which we can interact as a global community. The counter argument of whether the Internet creates an artificial notion of transnationalism is a misrepresentation. Online film and video; although accessed through virtual means, still creates a culture of transnationality. In the age of rapid technological development, it would be incorrect to assess online culture as a negative aspect. With the issue of Transnational cinema, the question posed in the thesis of whether or not cinema can be truly national is one with a simple answer; no it cannot. All film embodies Transnational facets, if not through themes and characterisation overtly seen in films such as Babel, but through the off-screen partnership between the cast, crew and location. No production in this day and age derives from one national border illustrated through the examples of Batman Begins and The Dark Knight. Furthermore, the Internet and other forms of digital media threaten the category of national cinema. Ezra and Rowden express "the vast increase in the circulation of films enabled by technologies such as video, DVD and new digital media heightens the accessibility of such technology for both film-makers and spectators" (2006, p.1). The connecting powers of the internet make national cinema - a Transnational affair. “cinematic transnationalism is no doubt the future, but it is also an ‘open’ phenomenon with the potential to develop in many different directions” (Hjort, 2008).